Fallopian tube related infertility happens to approximately 20-25% of women struggling with the inability to conceive. The category for tube factor infertility will include cases in which a woman has a partial or complete blockage or no blockage, but has scarring or other damage. Tubal fallopian related fertility can be due to endometriosis, pelvic inflammatory disease or due to scar tissue from a previous injury or surgery. 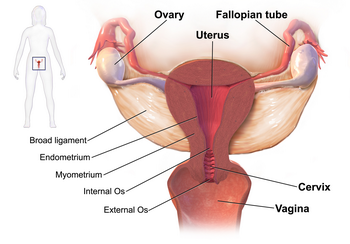 In cases of minor fallopian tube blockage, a woman can still become pregnant naturally, though the rate of miscarriage or ectopic pregnancy can be increased. Blocked fallopian tubes and fertility rates go hand-in-hand and for a woman that is experiencing the problem, the importance of proper medical attention cannot be stressed enough. Standard infertility tests which are performed on a couple can make it nearly impossible to pinpoint the problem as being directly related to blocked fallopian tubes. If there are several other underlying factors related to fertility issues, a couple may receive a diagnosis of unexplained infertility. As the rates of IVF have improved dramatically over the past 20 years, the procedure has become the most common use to treat tubal-related infertility. Mild tubal damage 40-70% after one year. Moderate tubal damage: 20-40% after one year. Severe tubal damage: 10-25% after one year. A woman will know within two weeks of being treated for blocked fallopian tubes have been successful or not. There is a risk of 1-3% of pregnancies being ectopic and the risk of multiples due to fertility treatment is also increased. There are pros and cons with any type of medical treatment for blocked fallopian tubes, a woman or couple should discuss these things in detail prior to making a firm decision. Success rates for in-vitro fertilization for treating tubal-related infertility in women under 39 years of age is highly successful, because women of this age are less likely to have any underlying infertility issues. It is possible for a woman with blocked fallopian tubes to become pregnant, once the condition has been treated the rates are very promising, which gives hope to many that would like to have a child someday.